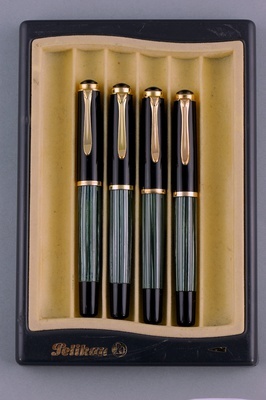 The green Pelikan 400 is what most people think of when they think modern mid-20th century Pelikan. We try to keep a selection of these popular pens in stock, but you should e-mail before ordering. Nib availability and specific dates TBD. Exotic nibs may be available at additional cost.